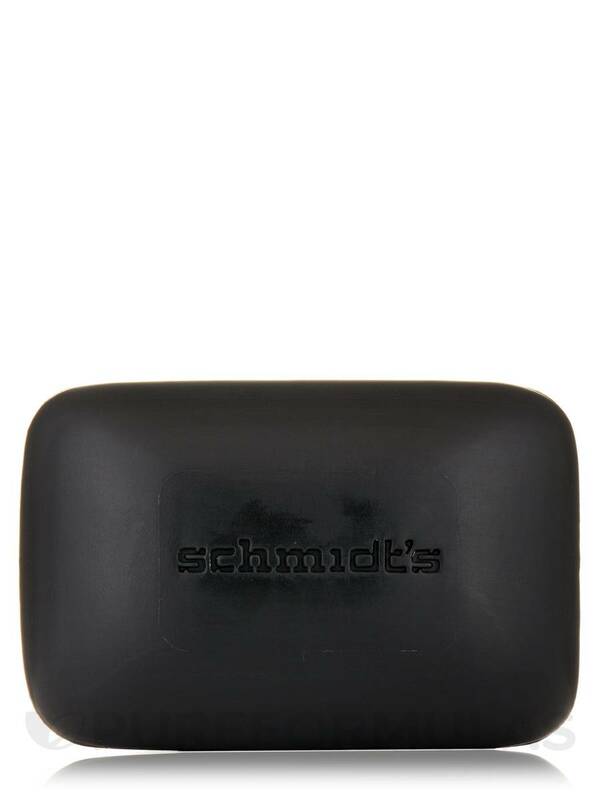 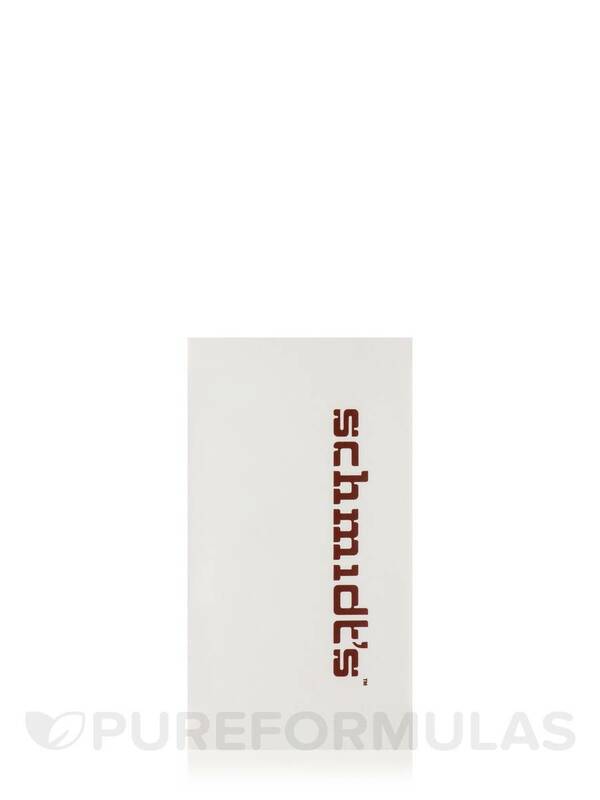 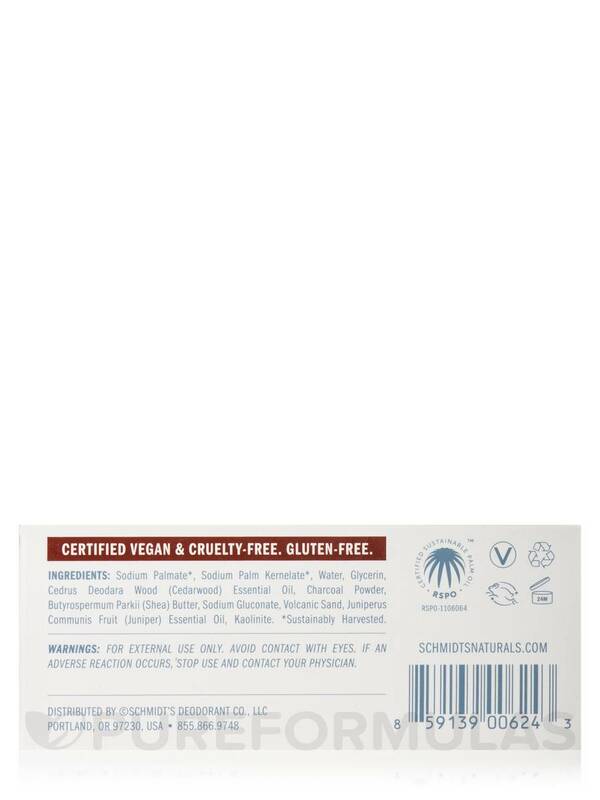 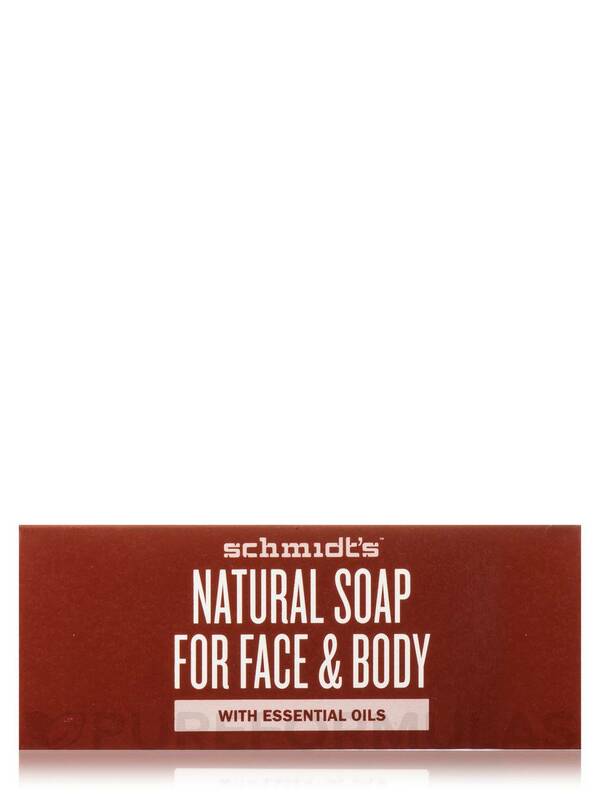 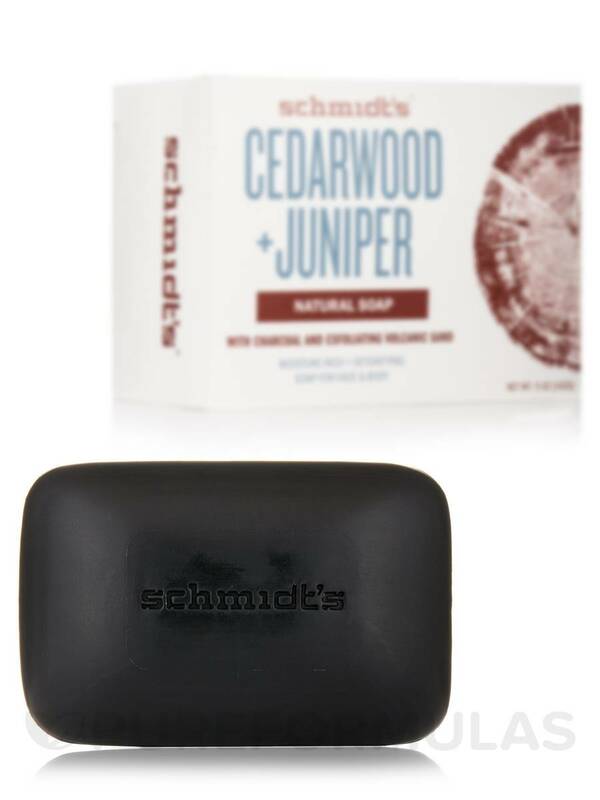 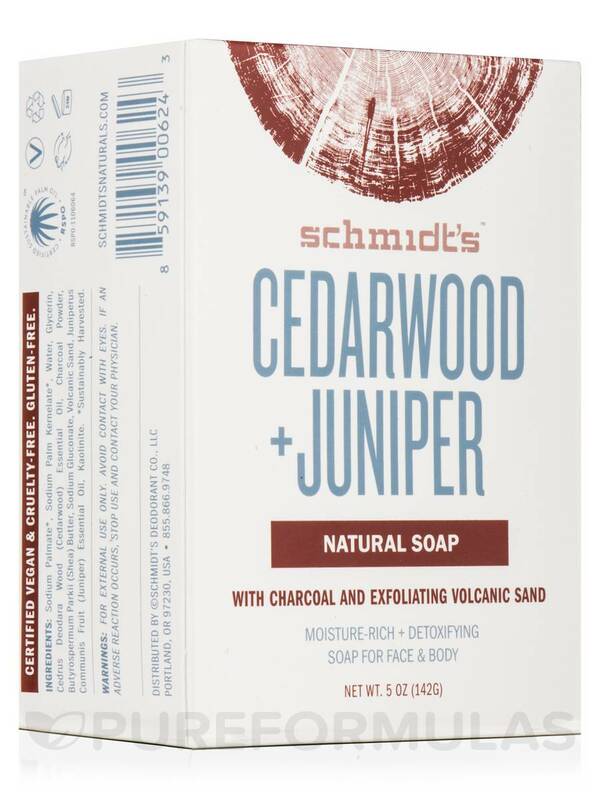 Aromatic and moisture-rich‚ Schmidt's soaps provide a luxurious cleansing routine. 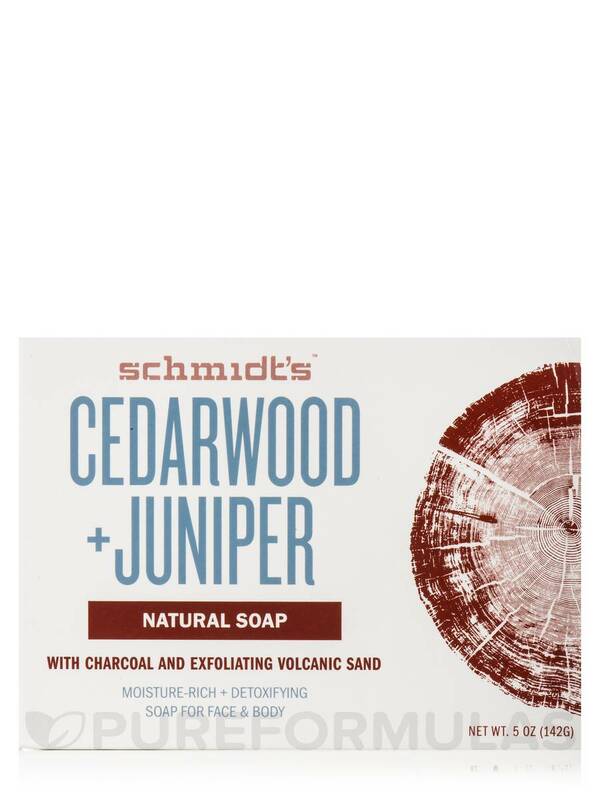 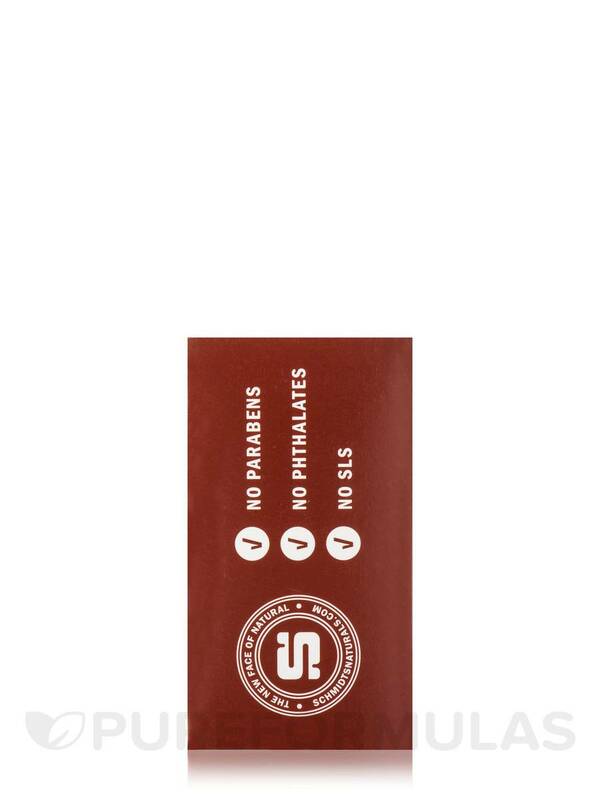 Sodium palmate*‚ sodium palm kernelate*‚ water‚ glycerin‚ cedrus deodara wood (cedarwood) essential oil‚ charcoal powder‚ butyrospermum parkii (shea) butter‚ sodium gluconate‚ volcanic sand‚ juniperus communis fruit (juniper) essential oil‚ kaolinite. 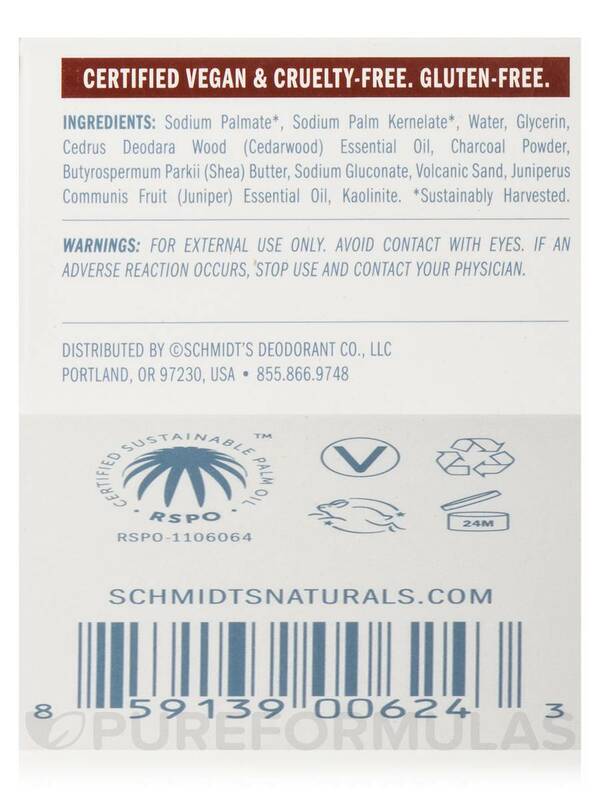 If an adverse reaction occurs‚ stop use and contact your physician.